Touring the slums with Jacob Riis. The first tenement New York knew bore the mark of Cain from its birth, though a generation passed before the writing was deciphered. It was the “rear house,” infamous ever after in our city’s history. There had been tenant houses before, but they were not built for the purpose. Nothing would probably have shocked their original owners more than the idea of their harboring a promiscuous crowd; for they were the decorous homes of the old Knickerbockers, the proud aristocracy of Manhattan in the early days. 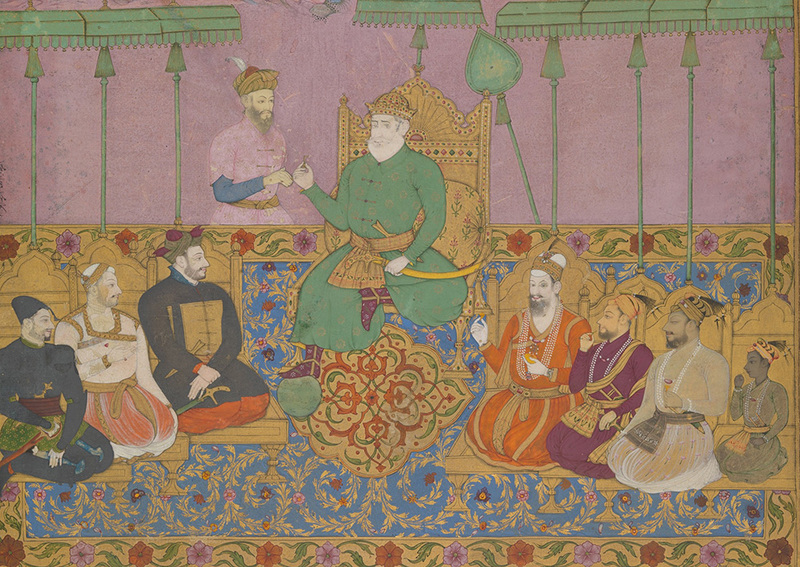 The House of Bijapur (detail), by Kamal Muhammad and Chand Muhammad, c. 1680. © The Metropolitan Museum of Art, Purchase, Gifts in memory of Richard Ettinghausen; Schimmel Foundation Inc., Ehsan Yarshater, Karekin Beshir Ltd., Margaret Mushekian, Mr. and Mrs. Edward Ablat and Mr. and Mrs. Jerome A. Straka Gifts; The Friends of the Islamic Department Fund; Gifts of Mrs. A. Lincoln Scott and George Blumenthal, Bequests of Florence L. Goldmark, Charles R. Gerth and Millie Bruhl Frederick, and funds from various donors, by exchange; Louis E. and Theresa S. Seley Purchase Fund for Islamic Art and Rogers Fund, 1982. Swine roamed the streets and gutters as their principal scavengers. The death of a child in a tenement was registered at the Bureau of Vital Statistics as “plainly due to suffocation in the foul air of an unventilated apartment,” and the senators, who had come down from Albany to find out what was the matter with New York, reported that “there are annually cut off from the population by disease and death enough human beings to people a city, and enough human labor to sustain it.” And yet experts had testified that, as compared with uptown, rents were from 25 to 30 percent higher in the worst slums of the lower wards, with such accommodations as were enjoyed, for instance, by a “family with boarders” in Cedar Street, who fed hogs in the cellar that contained eight or ten loads of manure; or “one room twelve by twelve with five families living in it, comprising twenty persons of both sexes and all ages, with only two beds, without partition, screen, chair, or table.” The rate of rent has been successfully maintained to the present day, though the hog at least has been eliminated. While working as a police reporter for the New York Tribune, the Danish-born Jacob Riis began to take a camera with him on his nightly tours of Lower East Side slums. Riis’ calls for reform led to the passage in 1901 of the Tenement House Act, mandating improved access to air, light, and water in all tenement buildings.